This stunning, custom built home offers gorgeous views, an open floor plan and attention to every detail. Plantation shutters throughout, heated master bath floor, ground source heat pump, central vac and a generator that will run the entire house are just a few details. Amazing outdoor space that boasts a covered deck with fireplace, almost four acres, a detached garage with workshop and an awesome playhouse for the kids with working windows! 1309 Mesquito Creek Road (MLS #2118053) is a contemporary single family home located in Troy, KS. 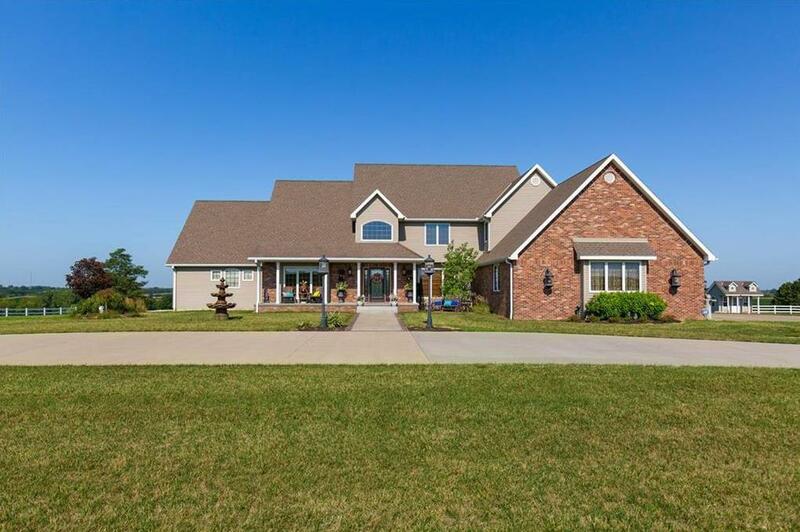 This single family home is 4,876 sqft and on a lot of 169,884 sqft (or 3.90 acres) with 5 bedrooms and 3.5 baths. This property was listed on 07/12/2018 and has been priced for sale at $585,000. Nearby zip codes are 64473 and 66090. This property neighbors other cities such as Oregon and Wathena. Listing Last updated 04/10/2019 3:00 PM CDT . Some properties which appear for sale on this web site may subsequently have sold or may no longer be available. Walk Score provided by Walk Score. Mapping data provided by Google and Bing.